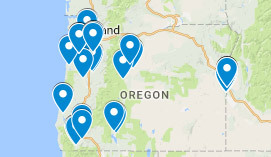 In 2019, SMILE will hold regional Middle School Challenges in Eastern Oregon, Southern Oregon and the Willamette Valley. Middle School Challenge is a one-day event where students came together to solve a STEM-based problem and experience life on a college campus first-hand. In 2018, SMILE held regional Middle School Challenges in Eastern Oregon, Southern Oregon and the Willamette Valley. Middle School Challenge was a one-day event where students came together to solve a STEM-based problem and experience life on a college campus first-hand. The Challenge focused around the Edison Robots clubs were provided at the Winter Teacher Workshop. View the Photo Book from the SOU event. View the Photo Book from the OSU event. Read a story about the 2016 Middle School Challenge and view the Photo Book for more images of the event.